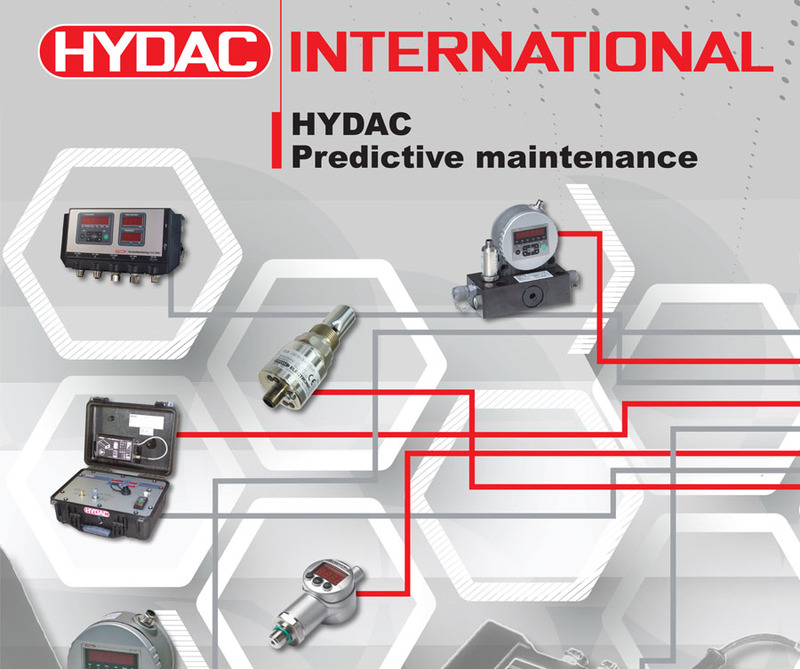 All of HYDAC's Industry 4.0 ready hydraulic systems are fitted with their latest sensor technology that is in-line with Industry 4.0 to create smart machines that are able to self-monitor, self-learn and self-correct. WATCH: How to connect your IoT enabled HYDAC Preventative Maintenance 4.0 Oil Condition Monitoring System! A Contamination Sensor (CS1000) for counting the number of particles in the oil and displaying the results according to the ISO class, the HYDAC Lab (HLB) this sensor continuously monitors the condition of the oil by measuring the temperature, water saturation, conductivity and change in dielectric constant, this value is used to indicate changes in viscosity, mix or dilution it may also be an indication of oil deterioration. To log the data collected by the sensors, we use the HYDAC Condition Sensor Interface (CSI-C11). The CSI module has 2 input channels for the HYDAC smart sensors. HYDAC smart sensors have an HSI interface built in; this means “no configuration” is necessary! The CSI instantly recognizes the sensors and configures the display appropriately, a valuable plug and play feature. The CSI has also an output port for data transmission via a LAN cable and it has an antenna that allows for wireless transmission via W-LAN. With the CSI you can access the data recorded on the system wirelessly using the HYDAC FluMoS mobile app. The FluMoS Mobile app is available as a free download from Google Play Store. • Connect the CSI and the HYDAC Lab. • Connect the CSI and the Contamination Sensor. • Connect the CSI to a power conditioned outlet. • Connect the network cable if you would like to access the data on your PC or network direct. In the FluMoS app, press the Wi-Fi button to automatically connect your mobile device with HYDAC CSI. Once connected you will have access to all the data recorded on your system. Hydrotech is the authorized distributor, supplier, and integrator for HYDAC products in Ohio & Kentucky and the leader for Industrial IoT solutions. If you would like more info on Industrial IoT connected devices or speak to our HYDAC specialists, give us a call at 881-651-5712!